The Architecture & Design Film Festival kicked off in New York this month, celebrating a curated selection of themed movies, events and discussions. It’s been nearly a decade since its inception and architect Kyle Bergman, who founded the fest to expand the dialogue between architects, designers and design-conscious consumers, is hard at work expanding its presence not only across the nation, but internationally as well. 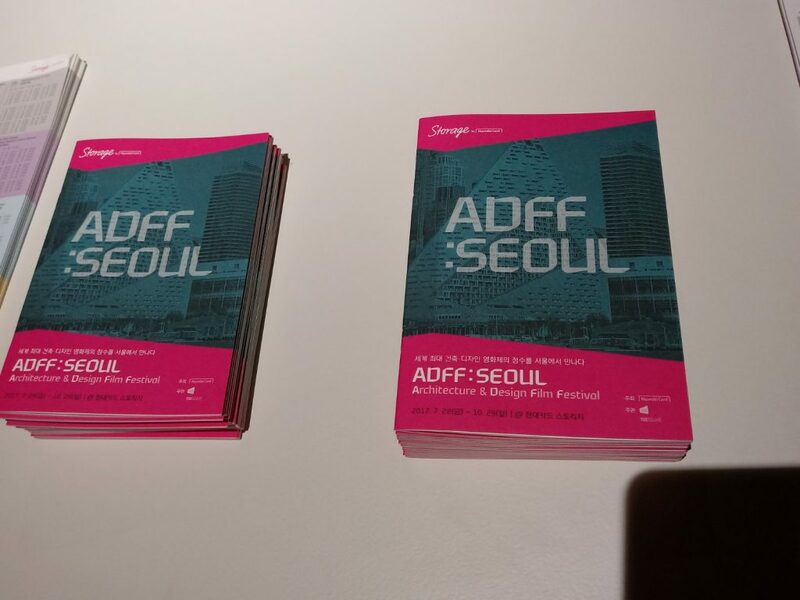 Most recently, Seoul, South Korea, hosted a version of ADFF that ran from July through the end of October. “The event was a nice way to showcase different aspects of architecture and how humans use space for interaction,” says visitor Daniel Ito, an American-born origami artist currently living in Seoul. Ito notes that most visitors were architects and designers, but the wide selection of films – 24 films showcased in six different programs – appealed to the general public, too. He points at the vast selection of book subjects – “ranging from the Highline to Korean gardens to Gaudi to meeting places in the American South” — as indicators of ADFF’s diverse audience. “It is a different version of the festival, which is normally a three- or five-day event that’s very dense,” says Bergman. For this version, Storage Gallery, a space owned by Hyundai Card, asked Bergman to create an ongoing “gallery” of films, which were presented in three small black box theaters. The space also features design, cooking, travel and music libraries. 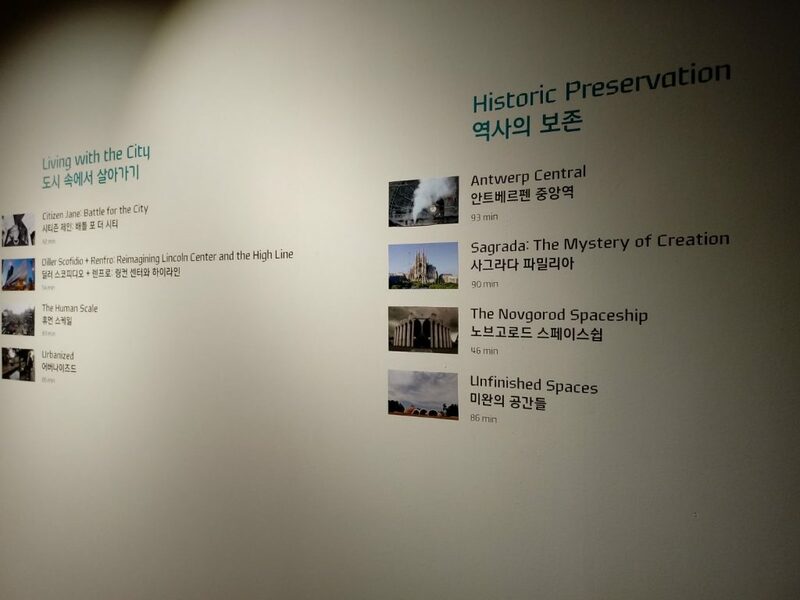 “Seoul is just growing so much,” Bergman continues, “they have a big design biennial happening this year,” and the city was appointed as a UNESCO Creative City of Design. In fact, roughly 73% of all designers in Korea live in the capital, which features a Zaha Hadid-designed cultural hub, the Dongdaemun Design Plaza. ADFF’s selected films were organized by themes rather than release dates. “Checking out the festival reminded me of how humans really need space to operate,” says visitor Daniel Ito. 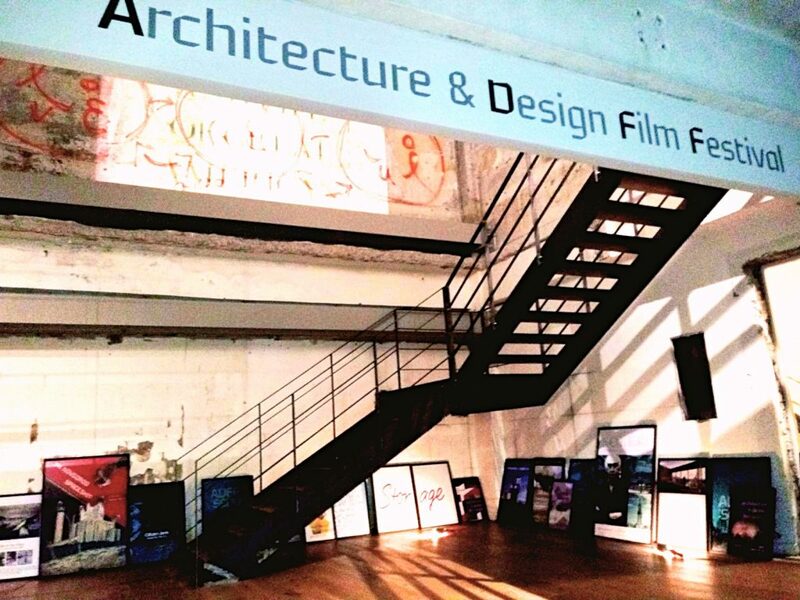 ADFF was approached by Storage Gallery, a space owned by Hyundai Card, to create an ongoing “gallery” of films. Seoul is rapidly growing – about 73% of all designers in Korea live in the capital. The selected films were organized by themes rather than release dates, so visitors had the chance to revisit gems “from the archives,” explains Bergman. One of the themes that captivated Ito was the concept of space and society’s different definitions of it. “Coast Modern” was one of the films that left the strongest impression on Ito. “For me, a lot of the appeal of the coastal modernism is how it relates to nature. Huge all-in-one buildings are too sanitized for me,” Ito says. In the midcentury, modernism was reinterpreted on the West Coast – a trend that extended from homes to civic buildings, public landmarks, stadiums and so on. While modernist design aesthetics differed, there was a shared focus on how structures communicate with their surrounding environments from the serene private home of Ray and Charles Eames constructed of “simple” materials to the glass Wayfarer’s Chapel by Lloyd Wright (Frank’s son), which harmoniously blends into a forest. The general public was initially “cautious” about embracing this design movement. In the film, however, The Urbanist editor Allison Arieff explains that with talk of the “democratization of design,” ultimately “people got really excited about it” as an opportunity to reconnect with surrounding natural beauty. While it can be easy to walk by examples of great architecture without taking notice, movies presented at ADFF like “Coast Modern” are meant to leave viewers educated, and hopefully inspired, to be more aware of how good design impacts daily experience. “…Everybody appreciates that sense that when you’re standing in something that is beautiful and well thought-out, your life is better for that moment,” Asaph Fipke says in the film. 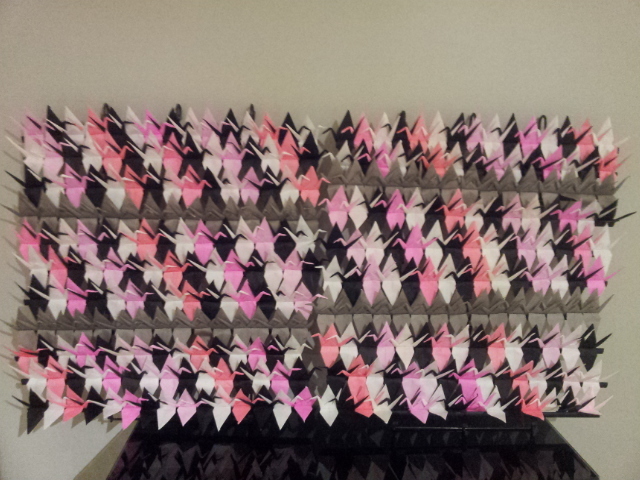 Daniel Ito is an American-born origami artist living in Seoul. 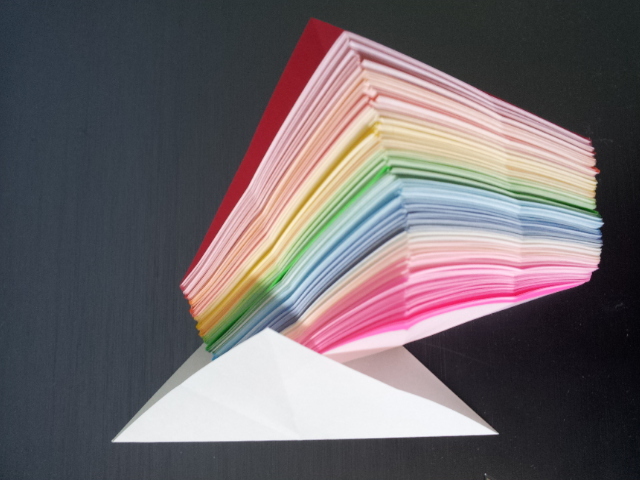 Structural origami by Daniel Ito.